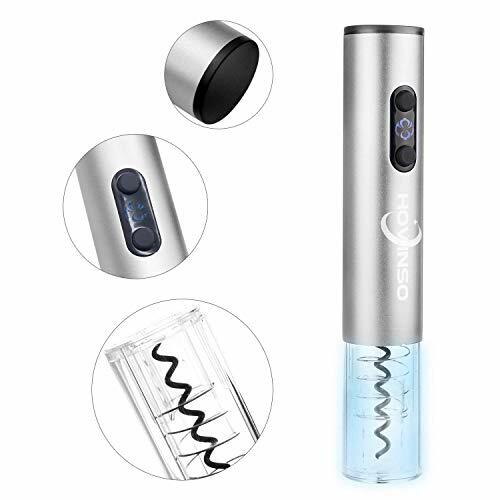 Product Dimensions: Color: Elegant silver Material: High quality stainless steel material Size: 11. 22*6. 29*2. 75in Weight: 1. 6lb(Batteries not included ) Package Include: 1 X Electric Wine Opener 1 X Foil Cutter 1 X Vacuum Wine Stoppe 1 X Wine Pourer Instruction 1. 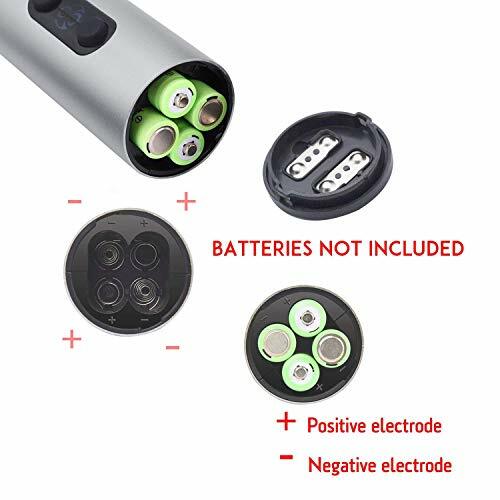 Insert 4*AA batteries. (Batteries not included ) 2. 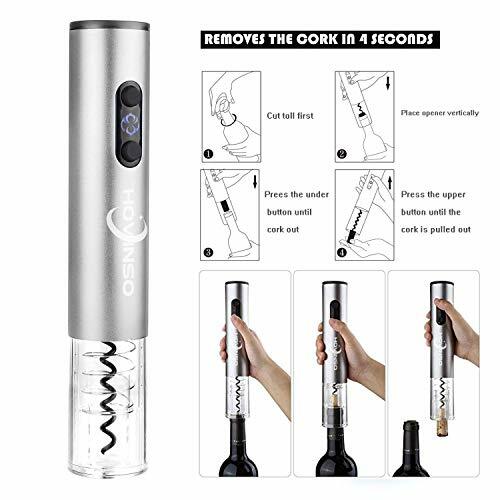 Press the button above to remove the Cork from the Cork screw 3. 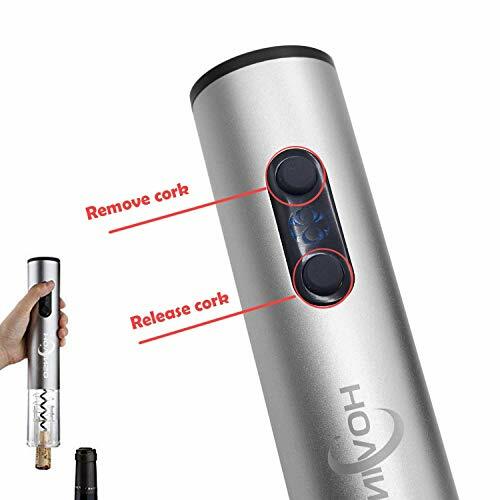 Push the button below to pull the Cork out of the bottle 4. 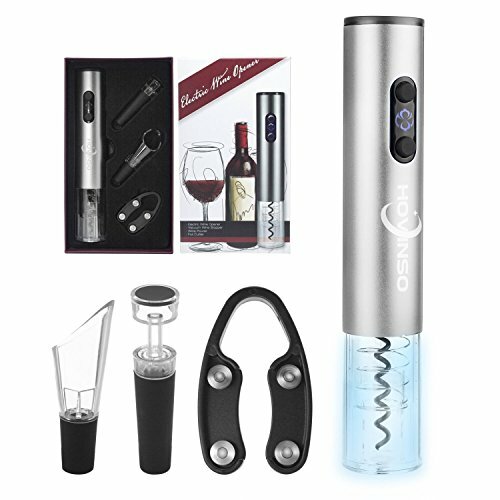 Built-in LED Blu-ray flashes during use Intimate Gift Set Are you looking for fun wine gifts for women? Why don't you present your friend, colleague or business partner something new? Hovinso comes in a premium box and perfectly suits for a gift. 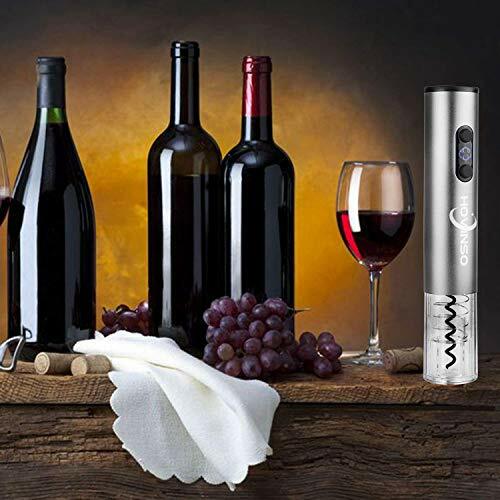 Hovinso is a wonderful solution if you want to make presentations to anyone who loves wine - your girlfriend, wife, sister-in-law, boat owner, lawyer, neighbors, a couple you met during your vacation. 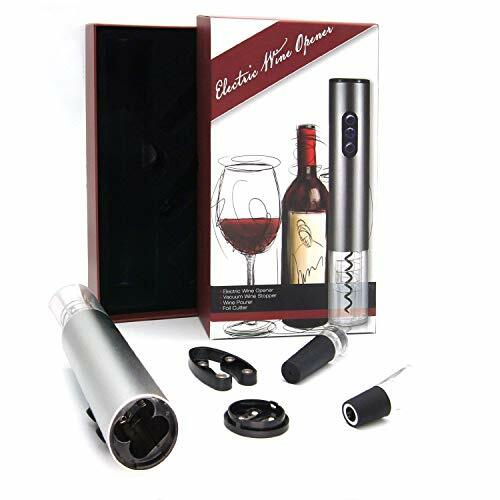 Electric Vino Apribottiglie Cavatappi e Taglia Senza Elettrico Wine Vino Bottle Opener Marca a Pile di Alta Qualità in Automatico Apribottiglie ed il Regalo Bottiglia di Vino Foil Cutter out of 5 based on ratings.